In the early 21st century, anthropological investigations of social and cultural worlds need to take account of the various mass-mediated, sometimes digitally remastered images and sound “bites” that permeate everyday lives in nearly every part of the world. A contemporary anthropological exploration of social and cultural life-worlds needs to take into account the importance of this medialization. Anthropological accounts of media practices explore the various ways media technologies are integrated and made sense of in diverse cultural and social contexts. We are interested in the ways they introduce changes, even ruptures, or enable continuities in practices, understandings, institutions, and traditions. Conventional media theory was grounded primarily in empirical research on Western industrial societies. Anthropologically informed studies, on the other hand, query whether central assumptions of conventional media theory are valid for foreign cultural contexts. In the BA degree program Media Anthropology is integrated in the advanced modules ("Aufbaumodule") 3 and 4 (AM 3 + 4). 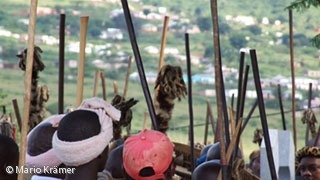 In the Master degree program Media Anthropology is one of three major modules (SM 2). The major module ("Schwerpunktmodul") "Media anthropology" focuses on the identification and analysis of mediated processes, relationships and meanings. Our students learn to illuminate cultural-specific media practice as an element of their own research. They are also able to collect ethnographic data through audiovisual media. This major module aims to provide students with a specialized and critical understanding of media productions, content, publics and users and mediates the empirical research of media practice in its social and cultural embedding. 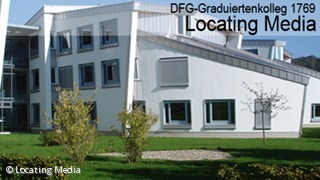 A close cooperation exists with the media ethnographic-oriented graduate college "Locating Media" at the University of Siegen. Practical experiences are integrated into independent field-based exercises. The critical reflection on your use of media technologies as a means of data collection and documentation is given a special weight. Furthermore, you also acquire skills for the preparation, implementation, and completion of your own audiovisual media productions. You will learn to take a critical and reflexive perspective, both in terms of your own media production and the use of media technologies. Media-ethnographic methods and media theories are part of the basic curriculum in the Bachelor and Master degree program. Our activities involve devising new and innovative course formats that integrate various internet-mediated platforms for debate and instruction (a.o. video conferencing, blogs, skype interviews with film producers, youtube-type posting and discussion forums) and thus allow for interactive and more decentralized forms of instruction and remote learning activities (“e-learning”). Bachelor and Master Students are involved in thematic workshops, conferences, and series of lectures on media anthropology (for example, as speakers). At irregular intervals, summer schools are organized, which serve as training for doctoral and advanced students in media-ethnographic methods and theory. Our goal is to initiate and foster exchange with scholars and institutions whose research and teaching activities are guided by a similar interest in the culturally and historically comparison of media technologies and practices. The common starting point of the research and teaching projects is that the ethnological exploration of media, 'old' or 'new', 'small' or 'big', requires consideration of the changing institutional and political frameworks in which media technologies are applied and can be used meaningfully. All research and teaching programs provide a culturally and historically comparative perspective, focusing on recent processes of intensified transnational and global interdependencies. With this combined perspective, research and teaching programs based in the network distinctly transcend conventional approaches within regional studies and also within other forms of regional specialization.